Stress fractures in the ankle, foot, shin or lower leg often occur due to overuse. Tiny cracks in the bones occur due to the inability for the body to take impact. If not treated, stress fractures can lead to a full fracture. Stress fractures occur more commonly in runners or athletes of high-impact sports but can happen to anyone. If you have a stress fracture, it is important to immediately rest, ice, compress, and elevate the foot. 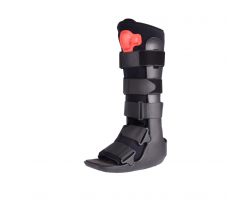 Whether you have a stress fracture in your metatarsals, shin or ankle, wearing a walking boot can help protect it from further injury. 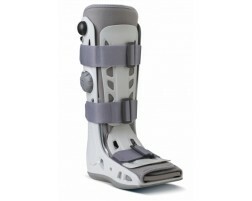 A medical walking brace will also provide the support you need as you let your bones heal. 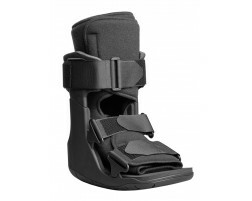 It can take 6-8 weeks to heel depending on the severity of your stress fracture. As soon as you confirm or suspect a stress fracture in your foot, ankle or leg, immobilize the foot with a walking brace so you can recovery quickly.